Epidural injections for spinal stenosis are popular moderate therapy options which are usually classified as purely symptomatic care. This means that although injection therapies can diminish some symptoms temporarily, they rarely do anything at all to resolve the underlying source of the painful expression. Epidural injections come in a variety of types and purposes, each designed to have a specific effect on the cause of pain. This article will profile many of the most commonly used stenosis injection approaches and detail how they might work, as well as explain the limitations of their benefits. Cortisone and other steroids are injected in order to reduce inflammation, usually in the hopes of providing pain relief. These can be used for nearly any cause of stenosis symptoms and are often combined with long-acting anesthetics to further diminish pain. Some forms of injection therapy are administered directly into bulging and herniated discs, in an effort to reduce the size of the prolapse portion and decrease the effects on nearby nerve tissue. This is appropriate and minimally invasive treatment for stenosis caused purely by disc pathologies. Flushing injections may be administered around annular tears when nucleus proteins are theorized to be contributing to stenotic events or nerve irritation. Since leaking disc proteins are free floating, they are unlikely to cause stenosis, but may certainly irritate nerves, causing chemical radiculitis in some scenarios. Prolotherapy injections are not epidurals, but may be administered into soft tissues in order to reduce the effects of some stenosis conditions. This is certainly one of the less logical and more controversial applications of prolotherapy. However, since these are natural therapies, there is little risk to the patient when compared to pharmaceutical injectables. 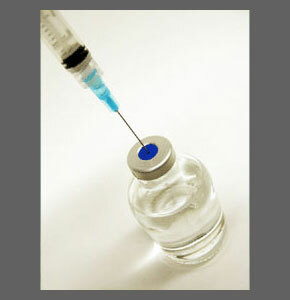 Injection treatment is commonplace throughout the back, neck and sciatica care industries. In fact, these are the most popular and widely used moderate therapy options, regardless of the specific diagnosis rendered. On the plus side, epidurals can reduce or even eliminate pain for an extended time frame. Some patients enjoy relief lasting for many weeks or even several months. In a few very rare instances, epidurals may help to resolve the causative reasons for pain, regardless of whether they are correctly diagnosed and targeted purposefully or not. This is most often seen with disc pathologies which are responsible for the symptomatic expression. When administered ideally, by a spinal surgeon, using live x-ray, epidurals have minimal risks. Negative aspects of epidural care include the simple fact that in many cases, patients will receive little or no benefit from the often terribly painful injection. A great number of patients find no relief, while many others find only very short periods of symptomatic respite. A few patients complain of escalated pain after an epidural. There are risks, especially when these shots are administered under the less then ideal circumstances. Epidurals can cause serious problems for patients, including infection, spinal fluid leak and even death. In fact, these complications are more common than one might think, since some epidurals are not properly performed. Consult with a spinal surgeon and be sure they will utilize fluoroscopy when administering the shot. 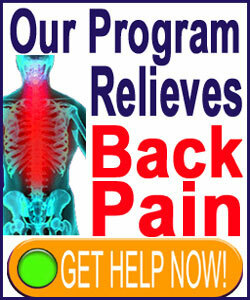 Be certain that they are experienced and specialize in spinal injection therapies. Ask to speak to other treated patients so that you can hear firsthand about what to expect after the injection. Most of all, invest time and effort to be sure that your diagnosis is correct before undergoing any therapy. Remember, one of the main reasons that all back and neck pain treatments fail is mistaken identification of the true causative process for pain.